At Image Group NZ we are continually updating our range of equipment and considering different ways to maximise the capabilities and potential of our inventory. We are always looking for creative ways to add a difference to our client’s event, whether that is through using the equipment in a different way or bringing different elements to make your event stand out. Below we have highlighted a few items that can be considered to give your event a technical advantage or enable your event to be customized or provide a creative element. Projection mapping is one of the hottest event trends. Our 36m wide x 5.5m high projection surface has arrived direct from the world’s leader in projection surface technology in Germany to provide you with an exciting new way to use projectors on your next event. The screen can be masked to fit your venue or design – as in the photo above (masked to 30m wide). For smaller venues we also have a 14m wide option. In conjunction withour high end, 12,000 ansi lumen projectors and media server software, our in-house technical specialists and designers can create a seamless projection surface with custom immersive full screen graphics. A standard PowerPoint or camera window can be placed within the surface as well – the options really are limited only by your imagination. Do you have staff or members around the globe who want to see your event without the expense of travel and accommodation? 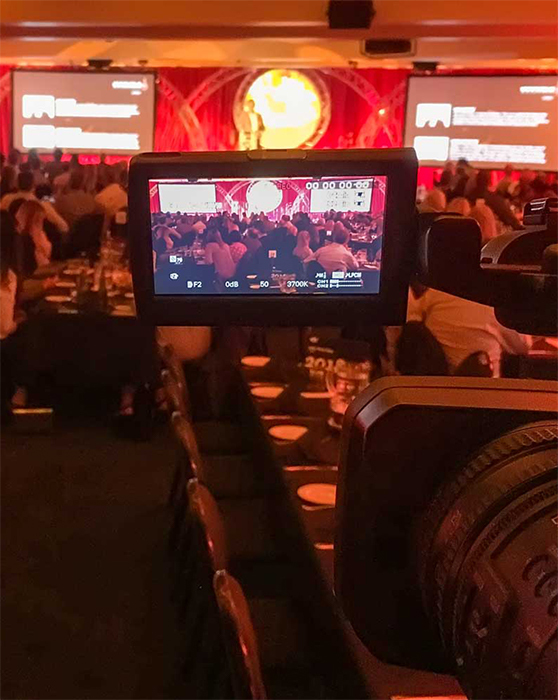 While anyone with a smartphone can stream to Facebook with just the click of a button, Image Group NZ can elevate your stream to include multiple cameras, on screen graphics, live presentations and more. Our hardware encoders and internet bonding devices can give you the peace of mind that if a venue’s internet stops mid-event, a 4G mobile data backup will take over and ensure a seamless experience for your global attendees. As a bonus you can also have all your footage saved to either be edited or distributed later. We can also create custom online portals to track your users online to gather meaningful analytics and insights to your event delivery. LED lighting has opened a world of opportunity. Our battery-operated LED uplights mean you can cut out the cables and provide a clean, quick lighting option for areas where cables can cause health and safety issues. Our battery lights are also IP rated - they are great for outdoor features such as trees or buildings where traditional lighting just won't work. 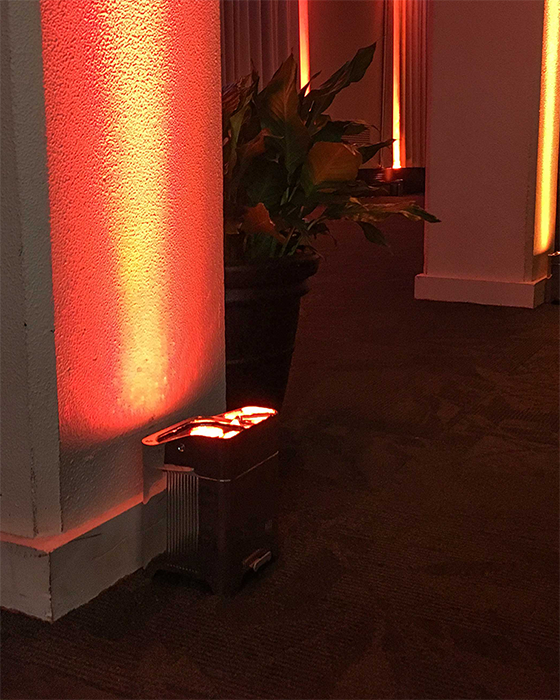 These fixtures also have in-built wireless DMX so they can be controlled with a lighting desk to create interesting colour changes or they can tie in with other elements of a lighting design. 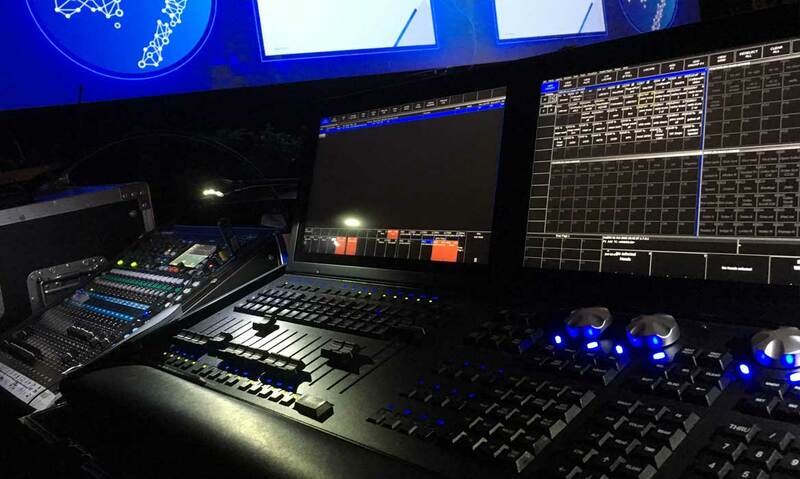 Modern lighting technologies require complex control consoles to get the most out of all the features offered by moving head, LED and generic lighting fixtures. After a global search, we found a new hardware partner to help us deliver amazing events! Chamsys are a UK company specialising in lighting consoles. Their in-house engineers have helped create some of the world’s best loved consoles such as Hog and Grand MA. Our fleet of consoles including Magic Q PC, MQ60 and the top of the range MQ500 Stadium offer new and exciting services such as visualisers, to see your event before the day and pixel mapping to elevate a lighting show to the next level. Enquire now to see what Chamsys and our lighting team can do for your next event!